Alright so I just started my 1st SARMS stack after my 3rd AAS cycle. The primary goal is to bridge between cycles (My next one will be on March) while maintaining muscle and preventing and/or getting rid of fat. 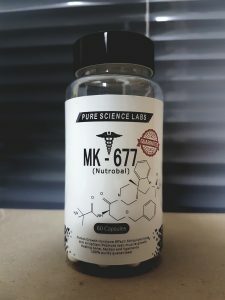 I'm currently using MK-677 and GW-501516 from Pure Science Labs, as there are only two brands to choose from here in Malaysia and this is the only one that had stock of MK-677. Tried to order from Enhanced Athlete but for some reason my card got declined. My sleep was not really that deep, although I kinda remember I dreamed of something cool. I've read from studies that you're supposed to sleep really deep while on MK-677 and wake up lethargic. Didn't notice any of that on my first day. Also no numb hands or feet like what they say the side effects should be. I did feel somehow "energized" on GW-501516 when I took it before my workout. Not sure if it was just a placebo effect but when I finished my first hour at the gym, I felt like I could go on for another 3 hours. As far as fat loss goes, still haven't noticed any changes. Still didn't have any numbness in my hands or feet. I wonder if this side effect happens to 100% of the users or if it's selective? I did notice an increase in appetite, because normally I'm satisfied with a small breakfast (Oatmeal and eggs). But today, I craved for a lot of red meat. Again, not sure if this is just a placebo effect since I know from research that it's one of the side effects of MK-677. As for my workouts with GW-501516, I'm still noticing increased endurance. Again, as far as fat loss goes, still haven't noticed any changes. Take note I'm eating like a mad man because of the increased appetite side effect of MK-677. I'll be updating this post everyday. Sounds interesting. I'll follow along. Thanks bro. If you have any inputs or suggestions feel free to tell me, or if you have questions, feel free to ask me too. So I'm now on my 3rd day. I'm beginning to notice deeper sleep, especially during my afternoon naps. Normally, my sleep would be light enough to hear my alarm, but today I actually had a dream during my 45 minute nap, and I felt really energized after. At night, I also dream but I keep on peeing and it interrupts my sleep. I've read that MK-677 is supposed to give you uninterrupted and deep sleep so I'm still monitoring if this MK-677 is legit. As for endurance, it's definitely there. It was sort of my rest day today but I still jogged around town for at least 1 hour then I played basketball for another hour. After that I still felt energized. No lethargy whatsoever. I took the GW-501516 before my jog and take note, I didn't take my pre-workout today to test if my GW-501516 really is working, and it's looking good so far. Also, maybe the lethargy side effect of MK-677 was balanced out by the increased endurance from GW-501516. Still no numbness in my hands and feet though, I'm searching for any sources or research that can tell me if that side effect from MK-677 is selective or if it affects 100% of the users. So far I haven't found one. My eating habits greatly changed as I'm always craving for meat. I haven't noticed fat gain though even if what I'm eating is essentially junk (Fried and salty food) but there's no fat loss either. I'm gauging this just by looking at myself in the mirror. I will weigh in on Friday to see if I lost body fat or not. I have zero input. Never used these compound's so it's just general interest and I like the way you are subjectively writing about it. Last edited by tarmyg; 11-22-2017 at 10:41 PM. I have zero input. Never used these compound's so it's just general interest and I like the way you are subjectivity writing about it. Cool, that's fine too. If you have questions, feel free to ask away. OP , just so you are aware , neither MK677 or GW50 (cardarine) are actually SARMS. 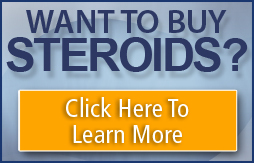 SARMS are 'Selective Androgen Receptor Modulators' and neither of those compounds do that . having said that they are decent compounds to run , however they are more for the 'long run' then simply to bridge between steroid cycles . Last edited by GearHeaded; 11-25-2017 at 08:37 PM. Why would you expect a change on Day 1? "As far as fat loss goes, still haven't noticed any changes"
Why are you taking the MK twice daily? I just started Mk-677 and I only take it once a day, at night. Not taking breaks beetween cycles. Guys reduce doses but they are not in charge anymore. The drugs are. Good for?.. 7-8 pros are listed on must sites and for mk677 its not scam. It works and maybe i think its my favourite drug. All in all. Besides the trt. But... U need to use i for a long time. And 12.5 mg migth be enough. I buy one bottle of 30 ml. For... 80 dollars?... Two months supply. Thats not too expensive. It like watch two tards tok bout stuff. Let us be one what is like of the an friend kind of guys. Funny... He is the Stroke. He used to call himself obspowerstroke. But the Stroke has many faces. Many personalities. He has been banned and nearly banned maybe 10 times. Sometimes he run his mouth. Sometimes he acts as a little pusy. Its depends what he is running. And the Stroke uses alot. He never red the stickies so he thinks more is better.